For those of you who are kind enough to follow my blog or receive my emails I’m certain that an explanation is in order for my absence of communication for the past several months. 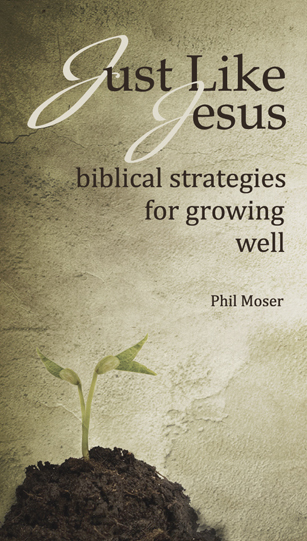 My writing efforts over the course of the summer have been directed to publishing a small book entitled: Just Like Jesus: biblical strategies for growing well (ISBN: 978-0-9881942-0-5). It was released several weeks ago and is available at the biblical strategies website. 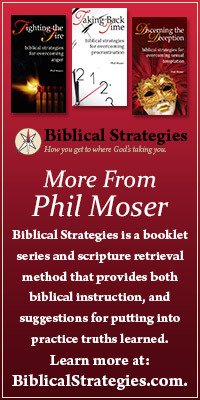 www.biblicalstrategies.com Here’s a taste of what you’ll read in the first couple of pages. Mary fought back the fear rising in her chest. She could feel the muscles in her back tightening uncontrollably. Frightened, she tried to recite the verses she had learned as a child. The contraction subsided, and she rested. There was cause for the fear she felt. Having never known a man, she was about to give birth to a son. Joseph’s deep voice began to hum a familiar melody. It was just like him to hum only the tune so she would have to voice the lyric. Between contractions, she quietly sang along to the song she had written months earlier: How my soul praises the Lord. How my spirit rejoiced in God my Savior! For he took notice of his lowly servant girl, and from now on all generations will call me blessed. When I study the deity of Christ, I am drawn to worship him, but when I study the humanity of Christ, I am inspired to live like him. The first causes me to realize what I am not, but the latter causes me to realize what I should be. When I confuse the two, I no longer see my need to depend fully on the resources Jesus used because I assume he used a resource unavailable to me—his deity. Several years ago, I had two conversations that confirmed the importance of applying the humanity of Christ to the Christian life. The first was with my ten-year-old daughter; the second was with a man in his forties. Both individuals were different in every way, and both were struggling with different temptations. Yet when I encouraged them to walk just like Jesus, they gave the same answer: I’m not Jesus. Jesus is God. I am not. Both overlooked the simple fact that Jesus became man. Here is a significant, yet forgotten truth behind the incarnation of Christ: Jesus walked where you walk so that you might learn to walk like he walked. Jesus communicates this truth further when he repeatedly uses the phrase “follow me.”Your thoughts, feelings, and choices should be modeled after him. No matter your age, growing well means learning to walk just like Jesus. This entry was posted in Uncategorized and tagged Doug Bookman, humanity of Jesus, intrinsic limitations of humanity, just like Jesus, living well.